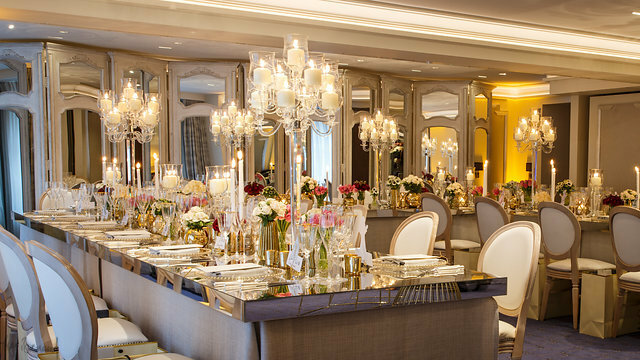 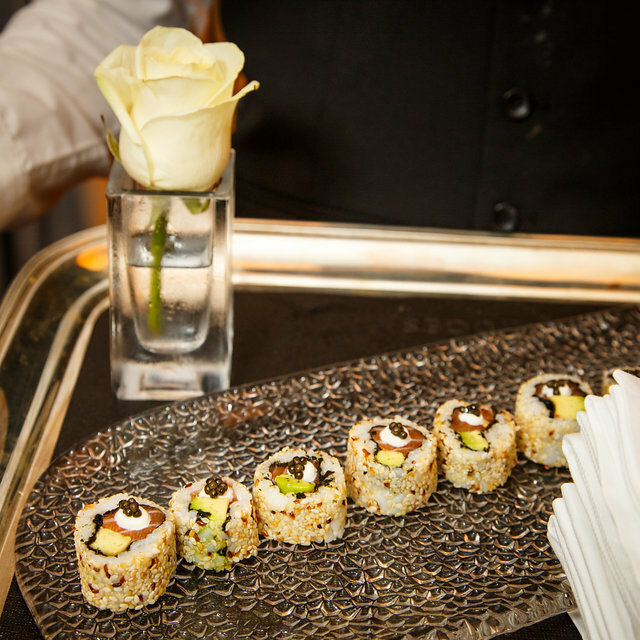 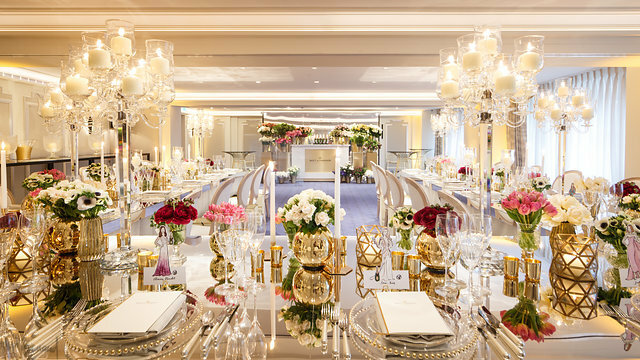 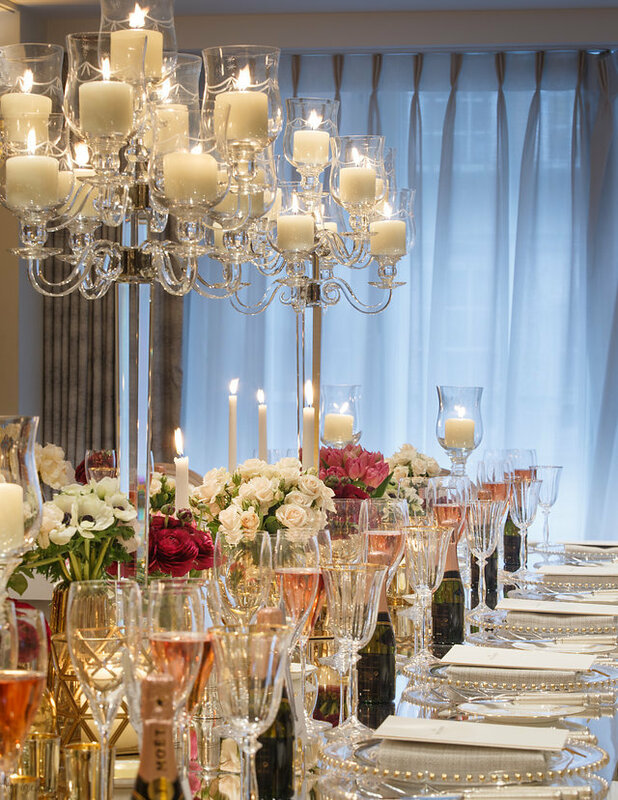 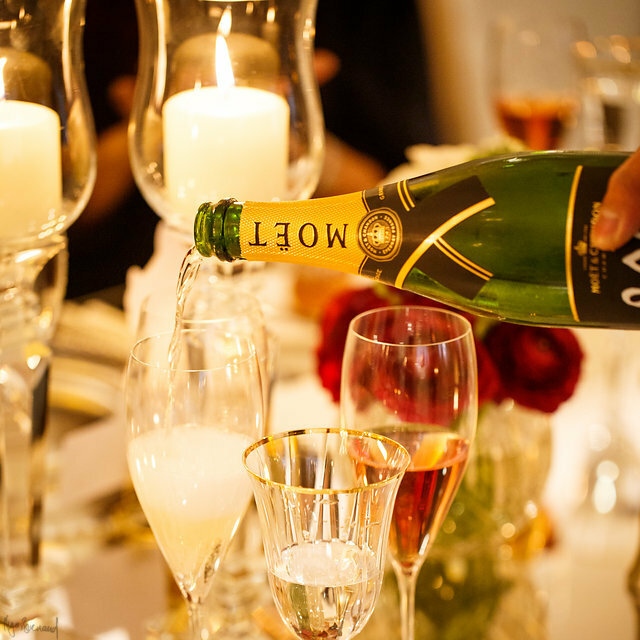 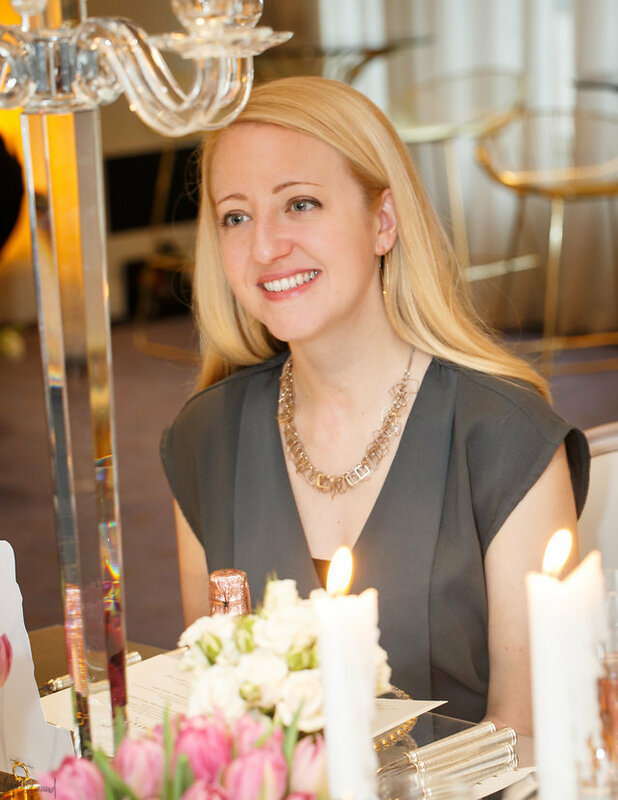 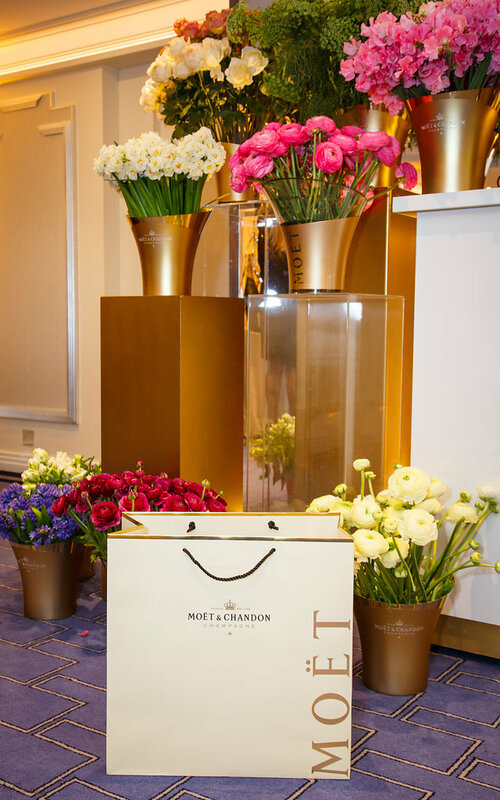 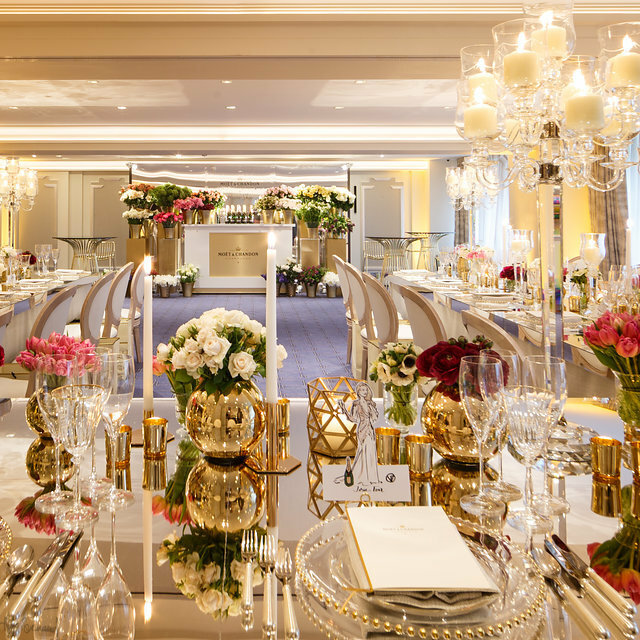 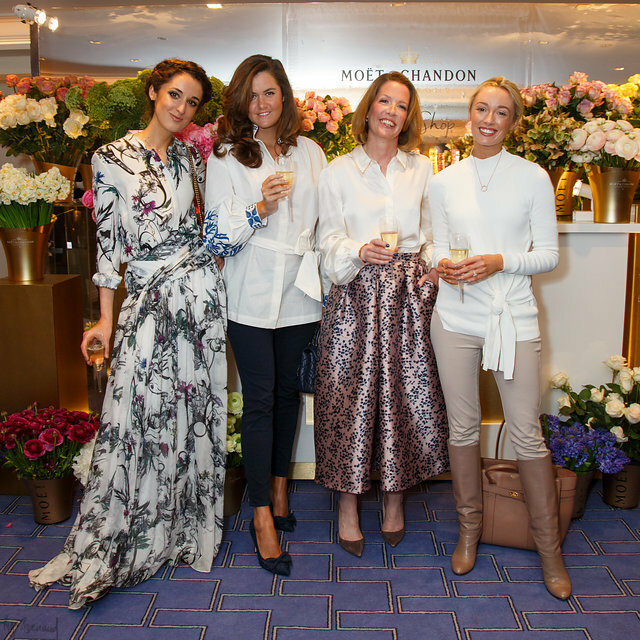 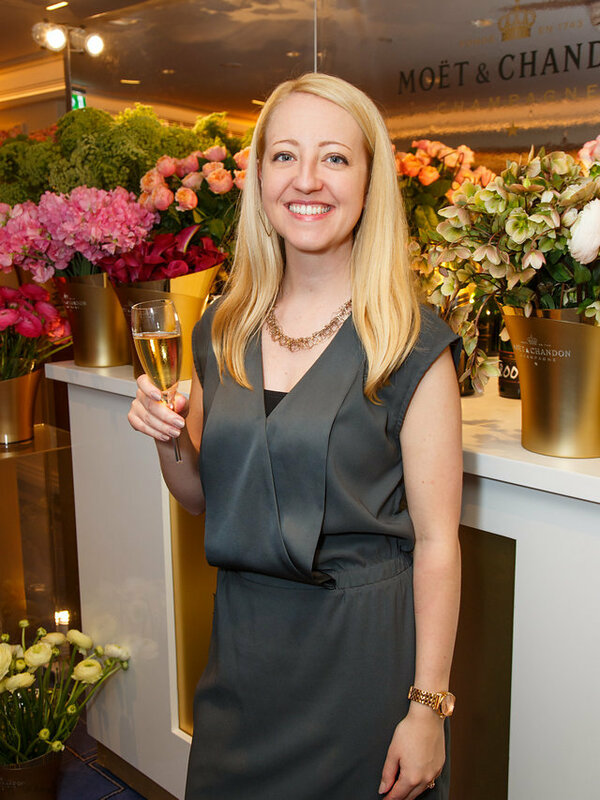 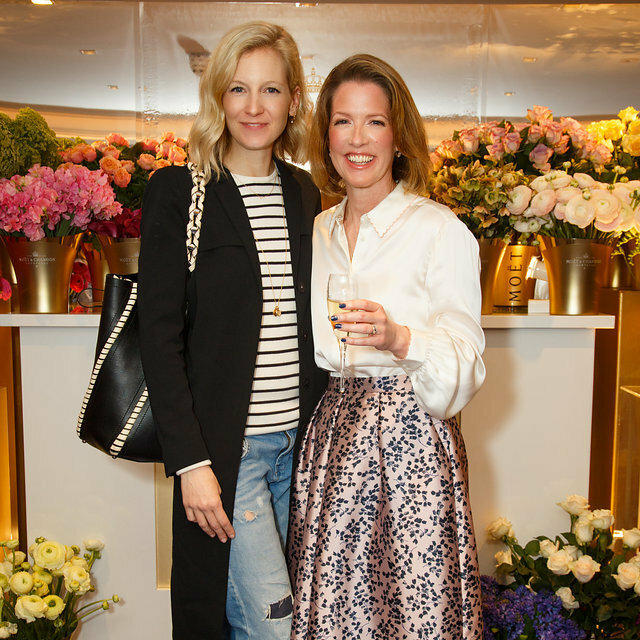 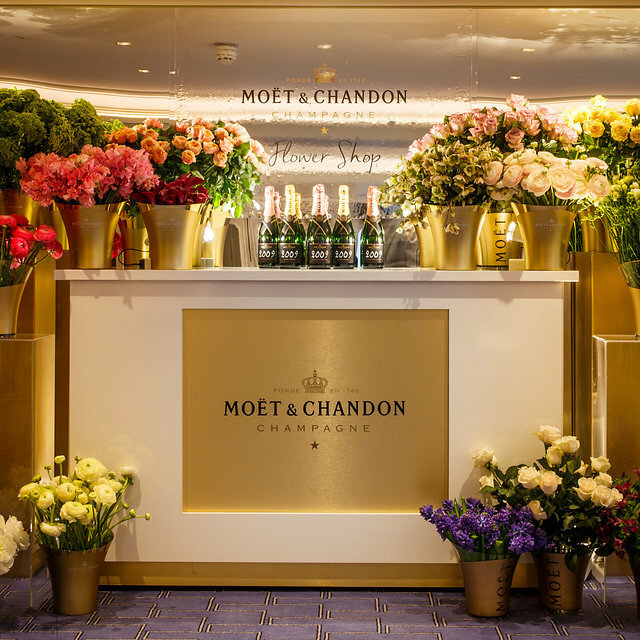 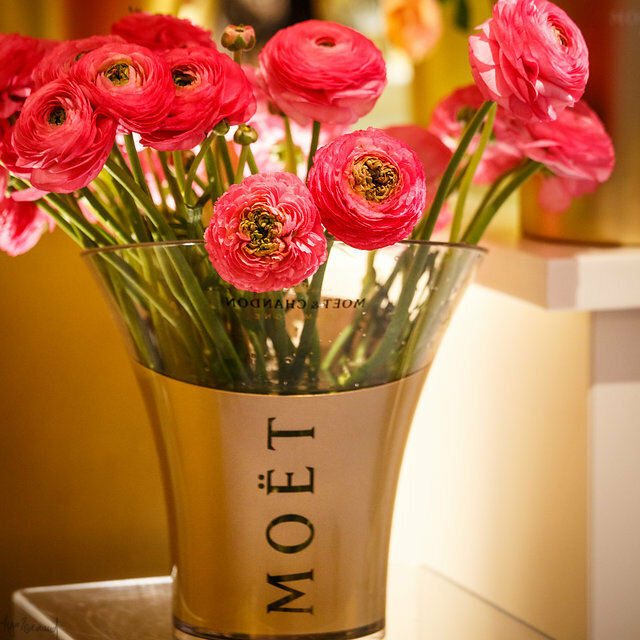 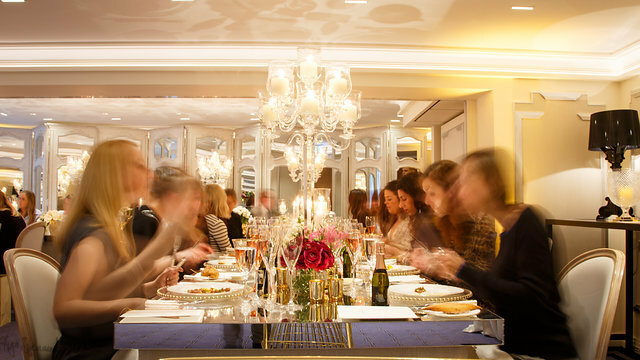 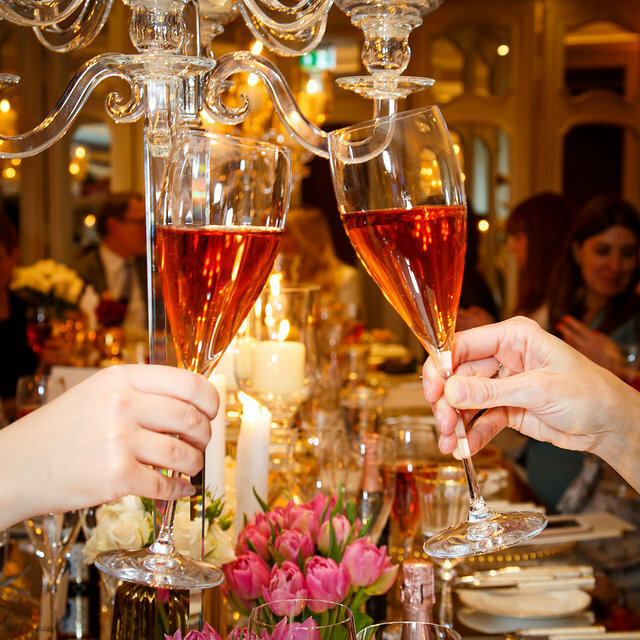 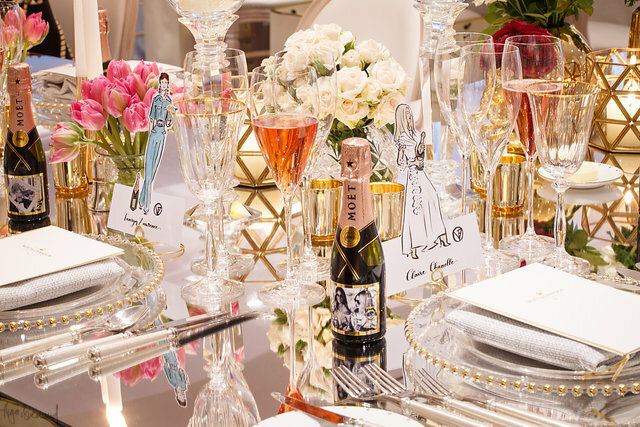 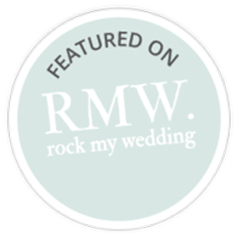 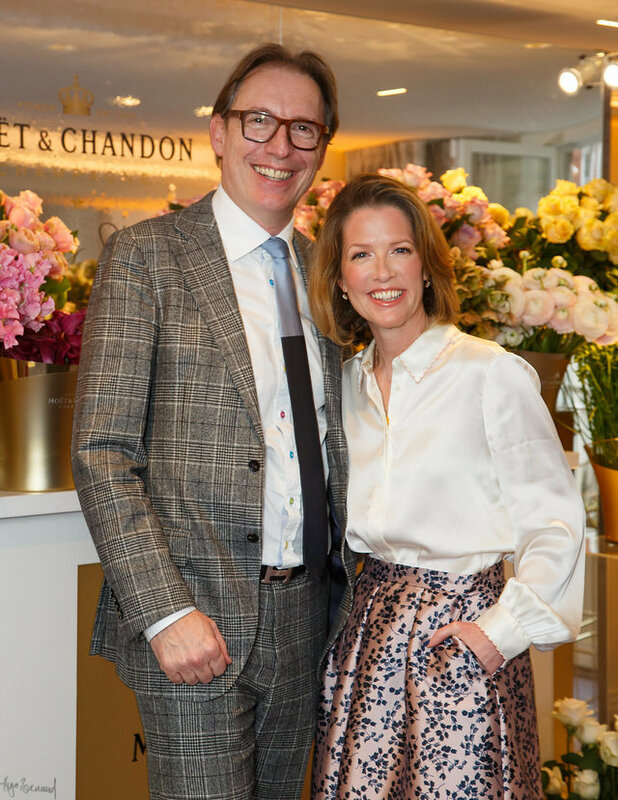 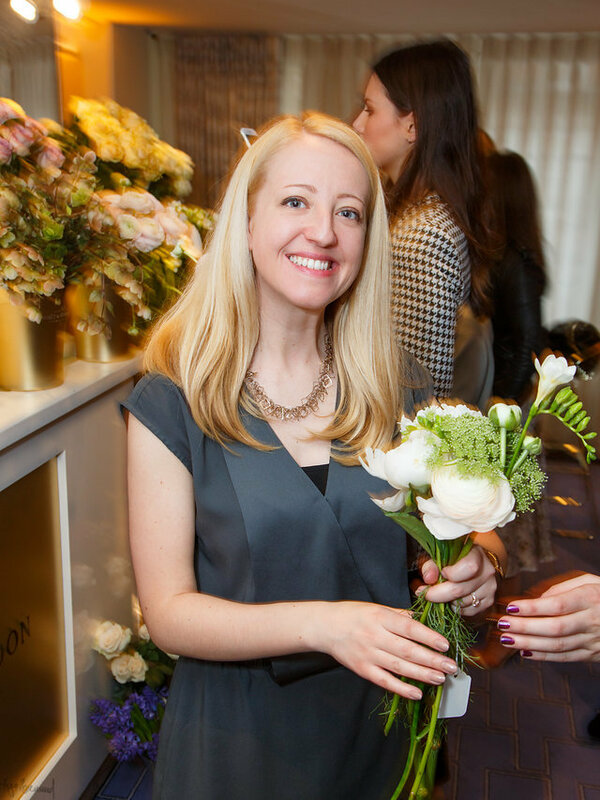 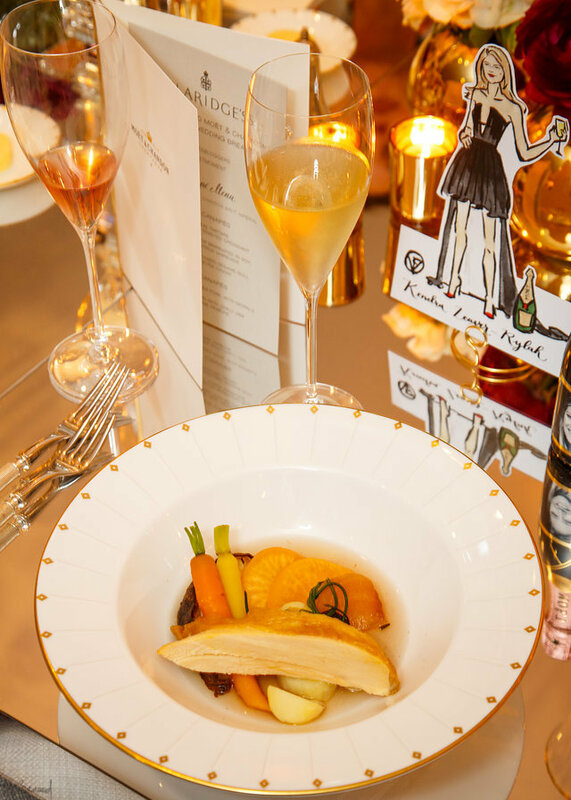 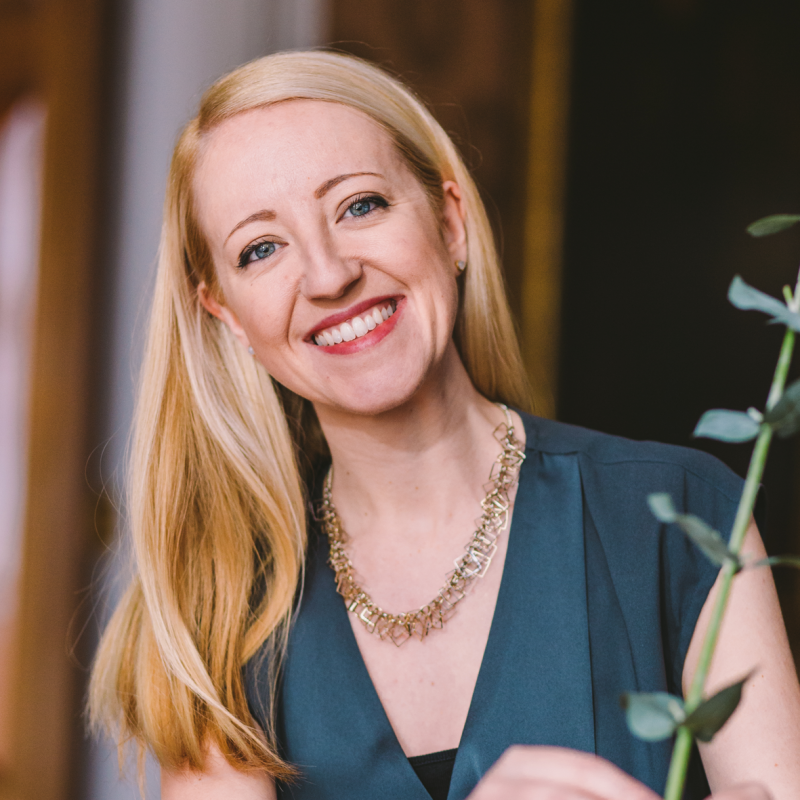 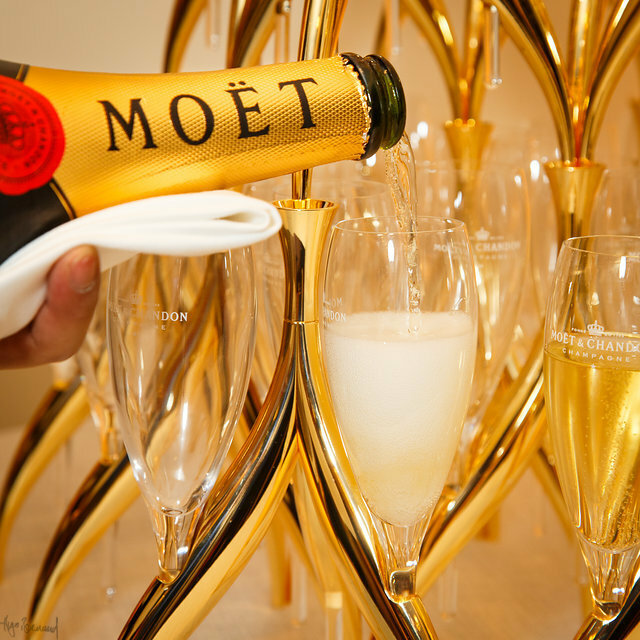 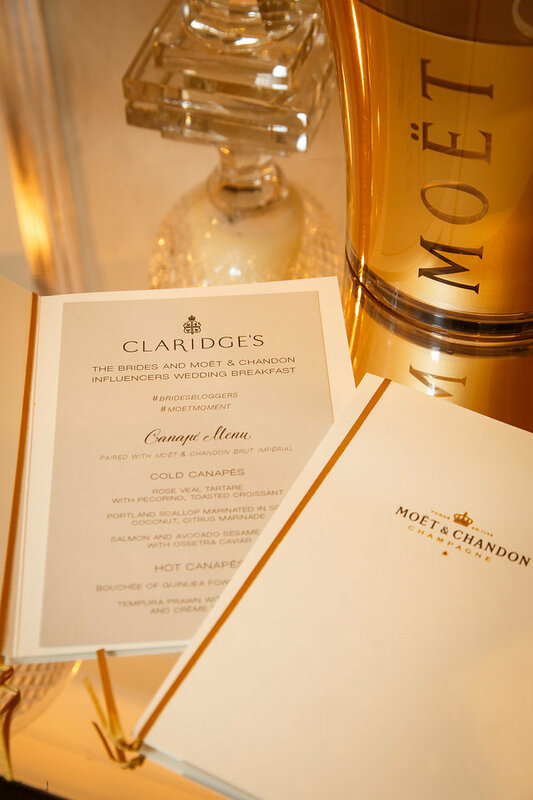 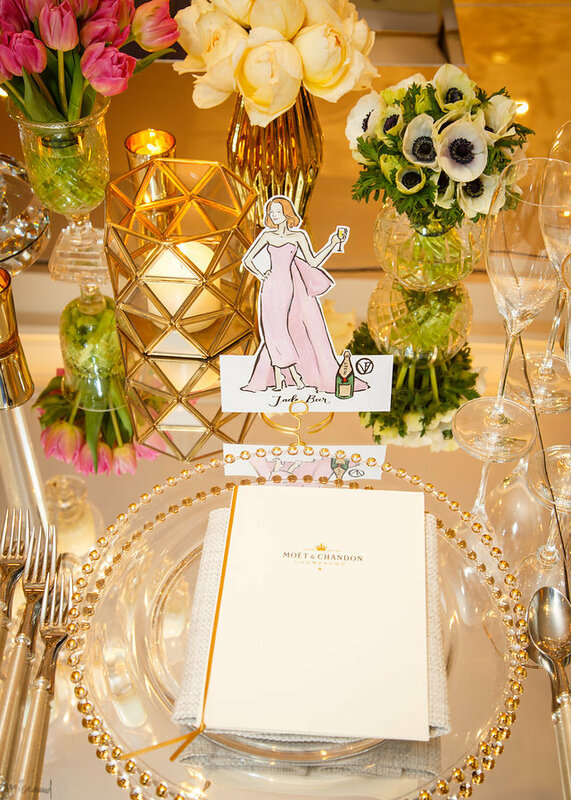 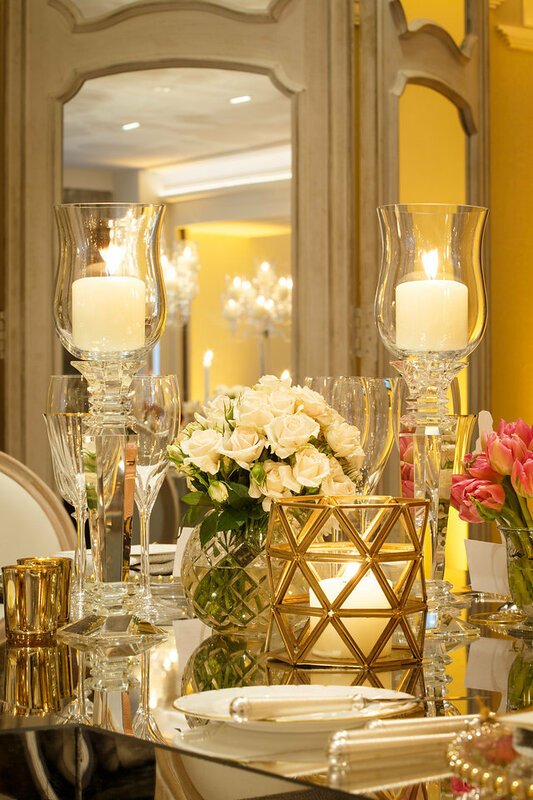 By formal invitation, Jade Beer (the editor of Brides magazine) and Moët & Chandon requested the honour of my company for an ‘exclusive influencers wedding breakfast’, hosted last Monday (9th April) at Claridge’s – so the invitation said, anyway. 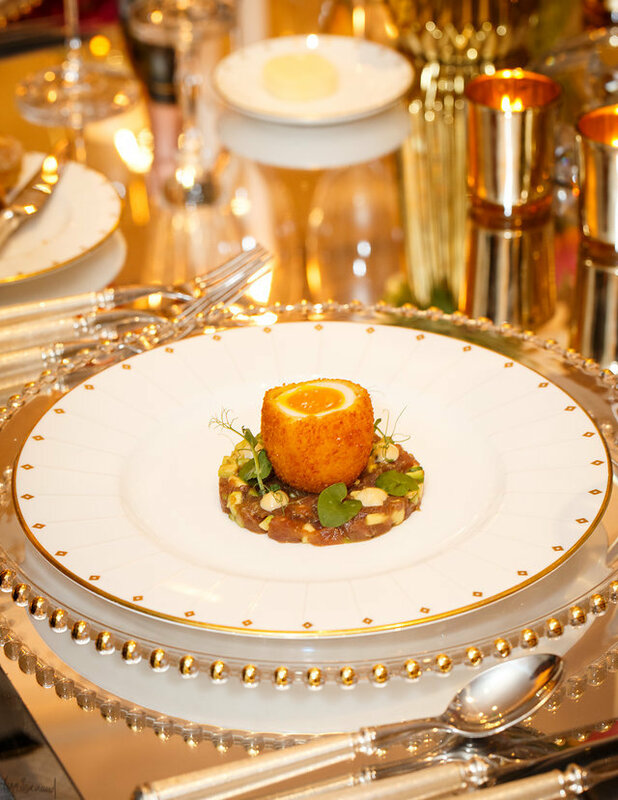 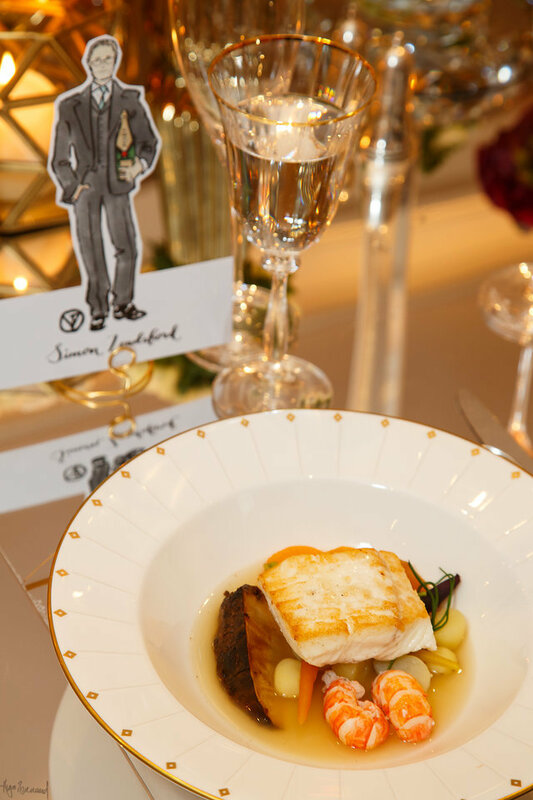 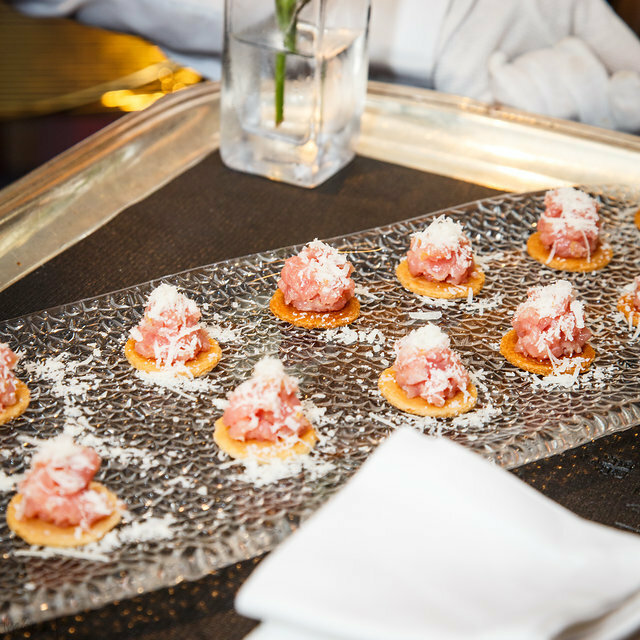 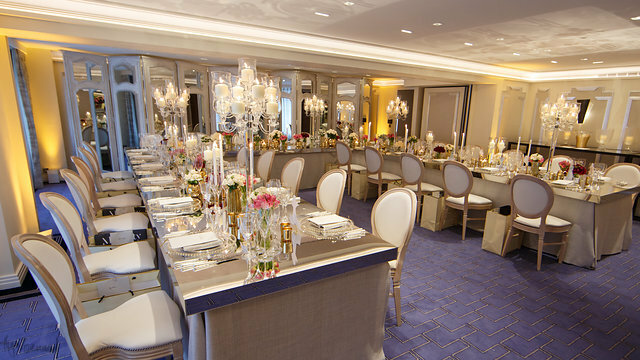 Having attended a similar press dinner around this time last year at The Savoy with Brides magazine (read about that one here), I was thrilled! 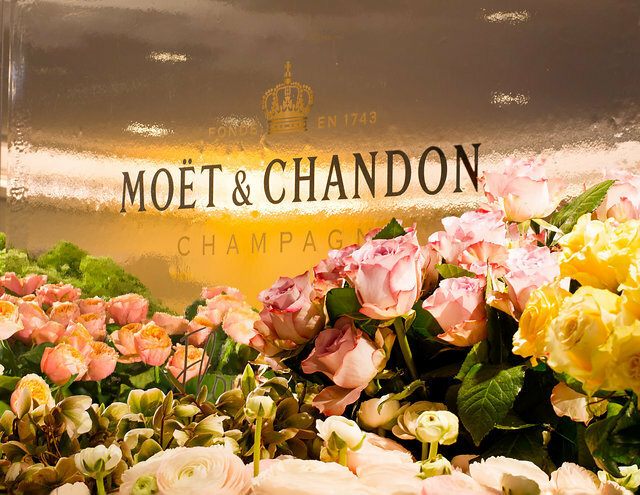 What a lovely invitation to receive through the post, and on a Monday! 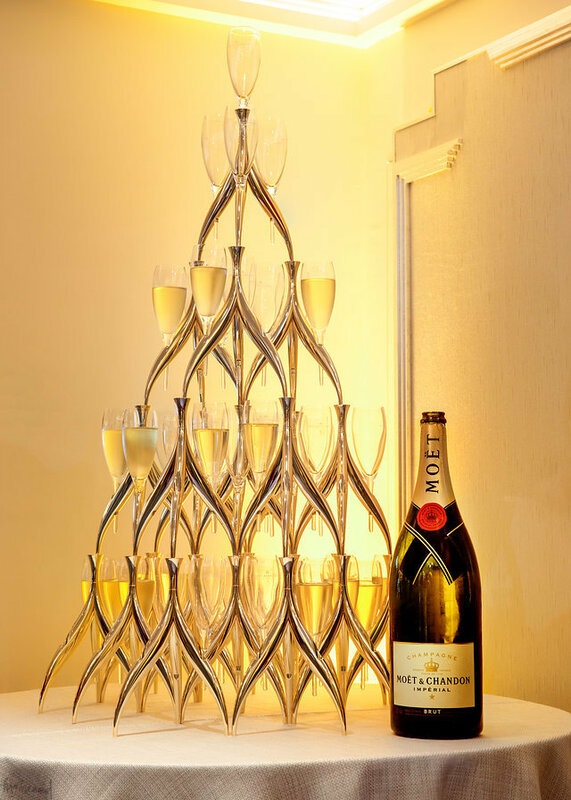 We were greeted with a gorgeous champagne tower and the most unusual champagne flutes that had no bottoms (only stems!) 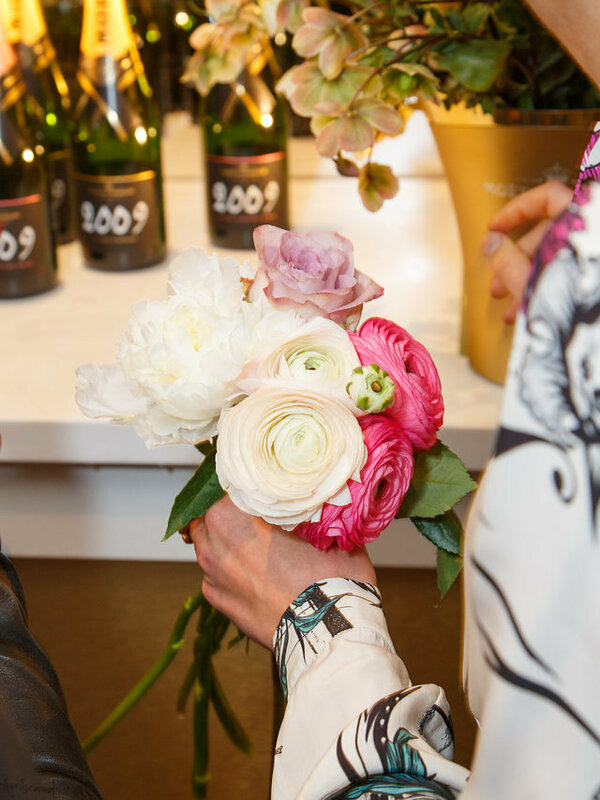 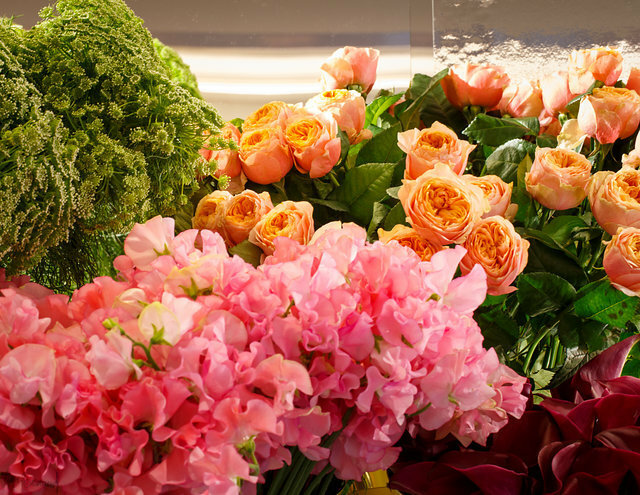 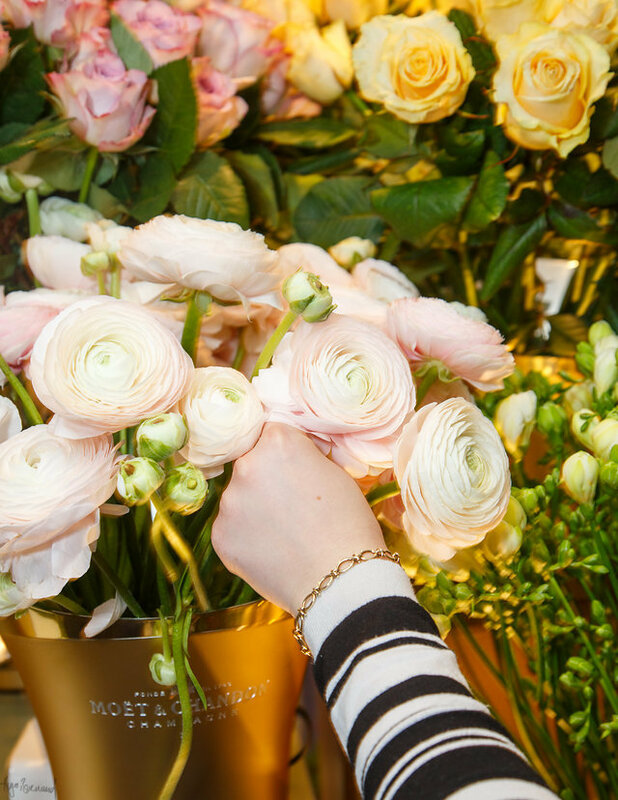 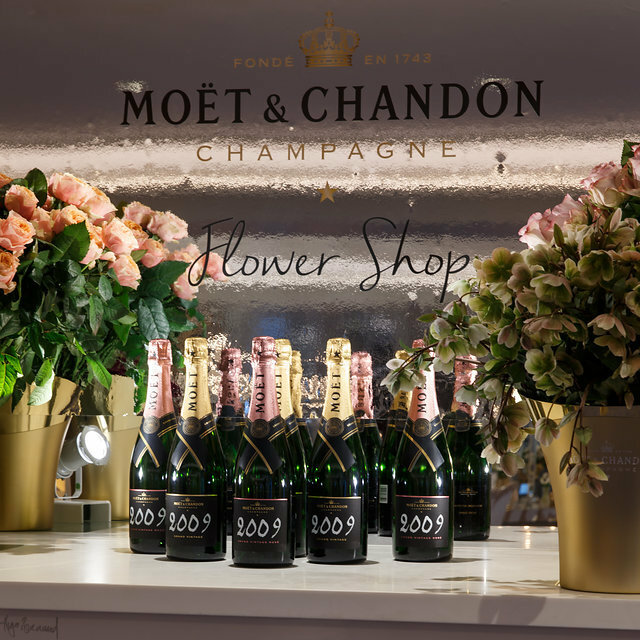 and then a Moët flower shop where we got to pick our favourite stems from the ‘stalls’ and then the expert florists from Rob Van Helden put them all together for us in a gorgeous bouquet to take home. 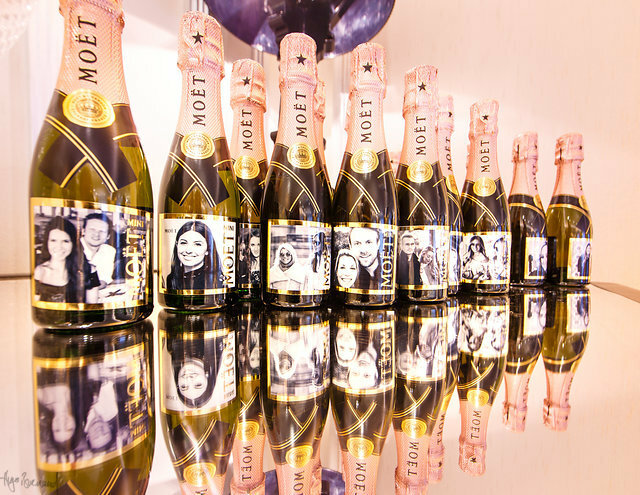 It was a similar vibe to last year, a bit of a blogger/press brainstorm with content ideas galore, and of course Moët treating us to lots of different types, years and colours of champers and telling us how to perfect complement weddings with them all… including the cute little personalised bottles we all got with our faces on! 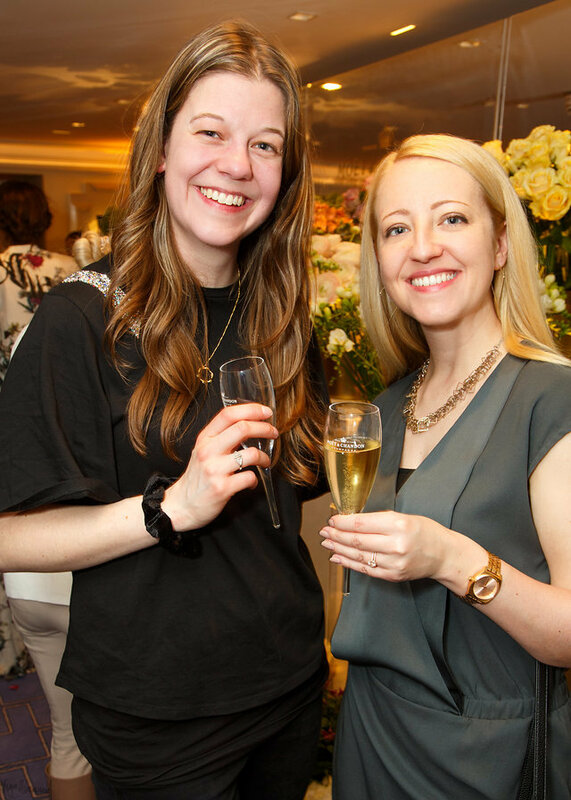 The afternoon was wedding perfect, including hand drawn illustrations as place cards, a donut trolley, and a goody bag to die for (it had GHDs in it!! 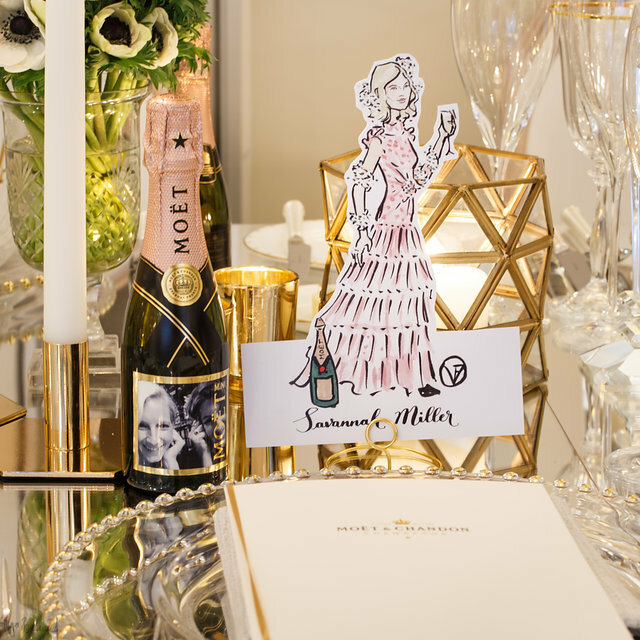 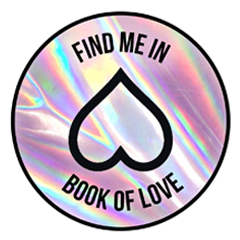 Amongst lots of other lovely things like a White Company candle, and lots of other lux treasures). 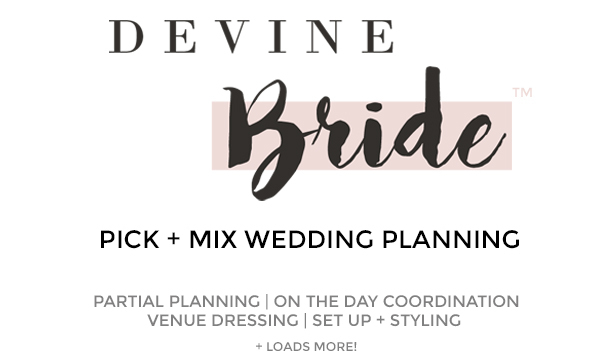 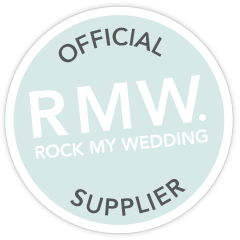 All suppliers involved that made the day perfect are referenced at the bottom, too.